Like the machines from Irmscher & Whitte, also built in Dresden, those from C.L.Roth are rare, even in their home country. 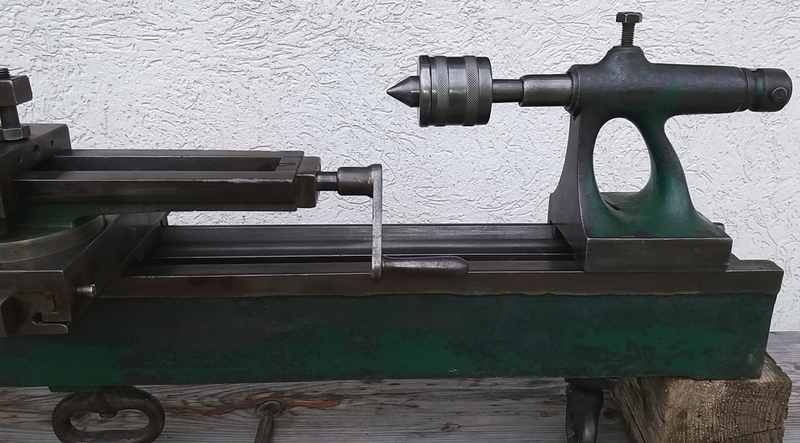 The example shown below, a simple plain-turning type from the period 1870 to 1900 or so, appears to be not quite of the quality exhibited by other contemporary German makers of high-precision bench types such as Lorch, G.Boley and Wolf Jahn. 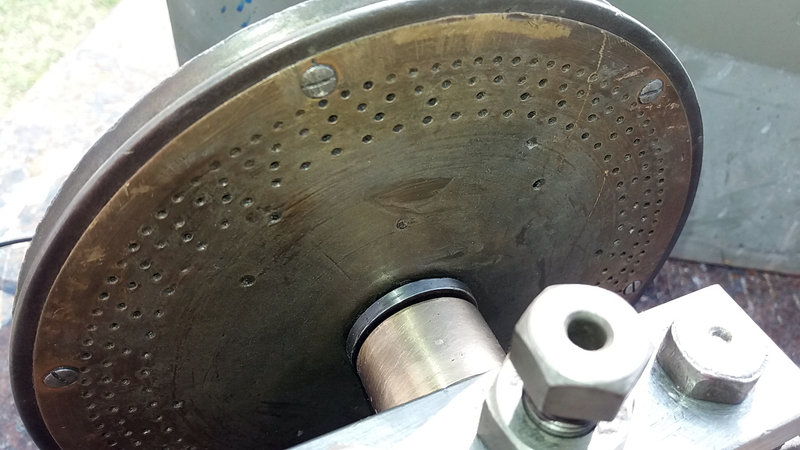 Although difficult to date and categorise precisely, the use of bronze "box" headstock bearings secured by a two-bolt plate might put the lathe somewhat earlier - perhaps into the late 1860s - while also confirming that the makers were either not aware of the latest developments in high-speed headstock bearings (hardened and lapped spindles running in glass-hard steel bearings as developed by Stark in the United States) or choose not to employ them. 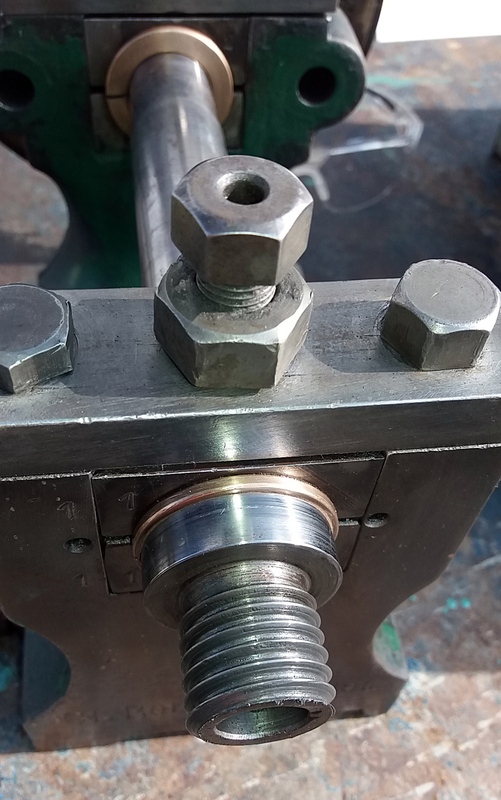 However, the bearing arrangement was anything but simple with, instead of a square-form slots cut into the headstock casting to take drop-in bearings machined from cubes of bronzes, each side of the bearing housing was triangular in shape - the arrangement being used to locate a pair of top and bottom bearing holders into which fitted round bearing shells. 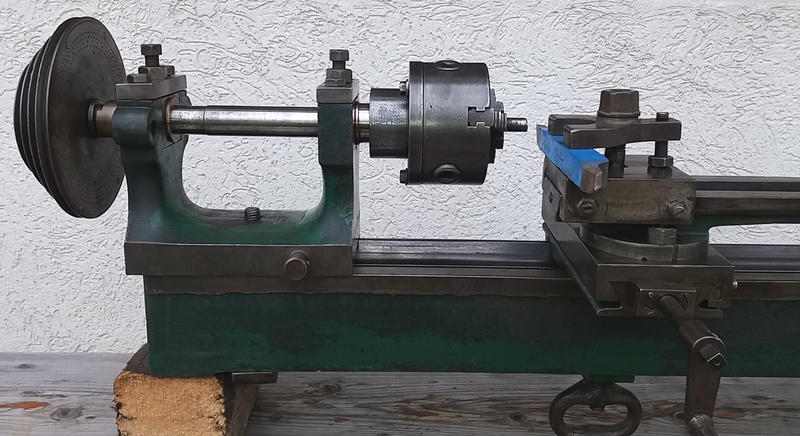 Despite this elegant over-engineering of the headstock, in other all other respects the lathe was conventional, with the compound slide rest and tailstock both held to the V and flat-way bed by a through-bolt fitted with an open, "oval" handwheel in cast iron. Instead of being punched into the forward face of the headstock - as was the name of many other makers of this type - on the C.L.Roth it was engraved by hand. Might the avoidance of an expense, hardened punch point to a limited production run? The headstock drive pulley, with a 4-step arrangement of V-shaped grooves for drive by a round leather rope, was fitted on its front face with a screwed-on bronxe plate drilled with four circles of indexing holes - a common thing to find on lathes of this type (though most had the holes drilled direct into the casting). 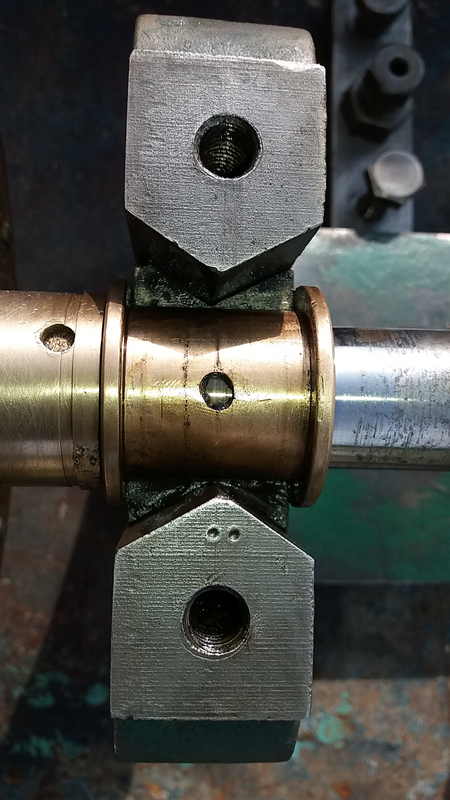 As the lathe had no feed for the carriage, following established precision plain-lathe practice, the top slide - which could be swivelled - had the usual extra-long travel. As to be expected, no micrometer dials were fitted and the feed screws fitted with common-for-the-era cranked handles. 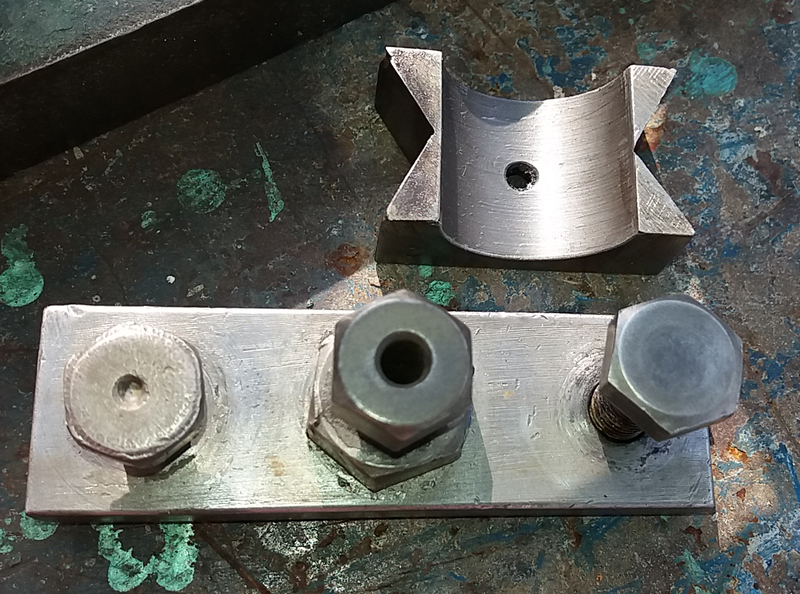 The headstock bearing arrangement was anything but simple with, instead of a square-form slots cut into the headstock casting to take drop-in bearings machined from cubes of bronzes, each side of the bearing housing was triangular in shape - the arrangement loacting a pair of top and bottom bearing holders into which fitted round bearing shells.